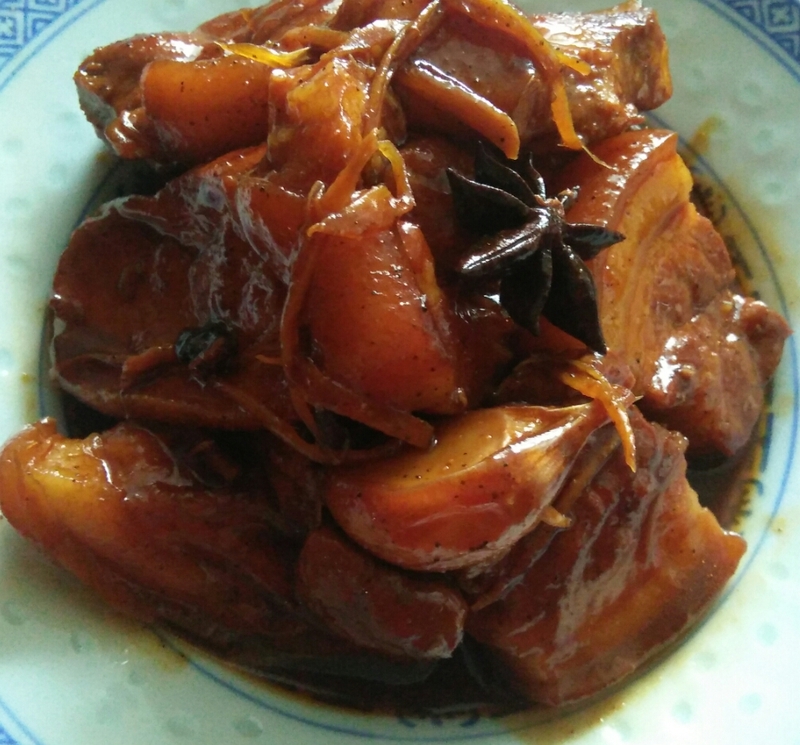 This is a braised soy sauce pork dish which is a little different from the usual. Apart from the usual spice condiments, the seasoning has an additional ingredient, that is, tomato sauce. 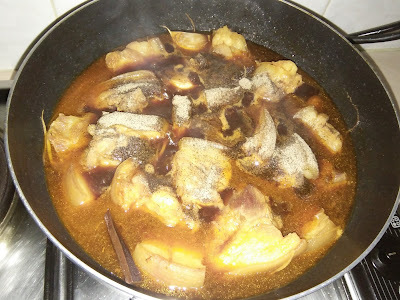 It is rather different in taste with black pepper and tomato sauce. 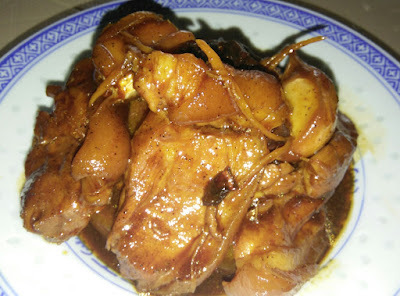 I have prepared a double portion of this recipe for my family gathering. 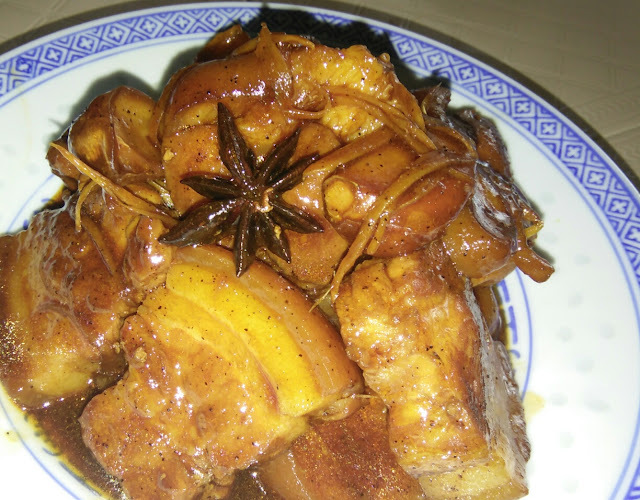 You can use only pork belly for this recipe. 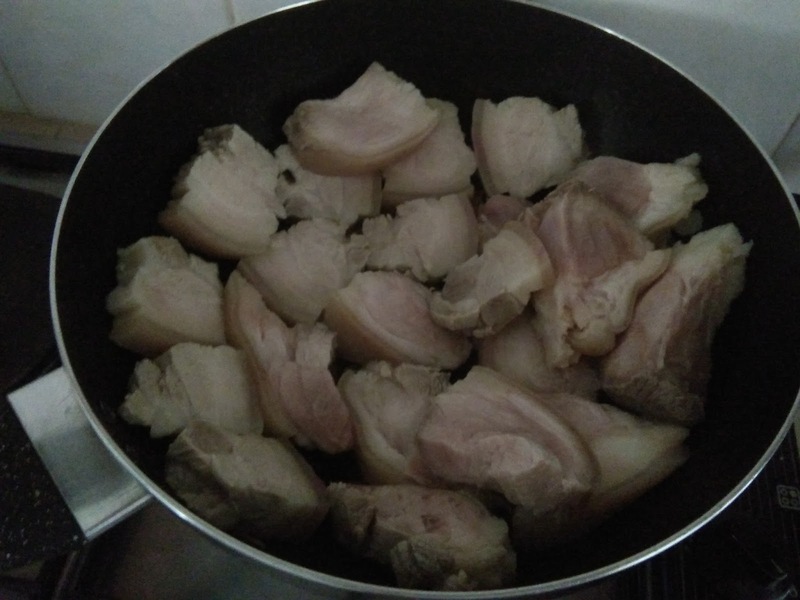 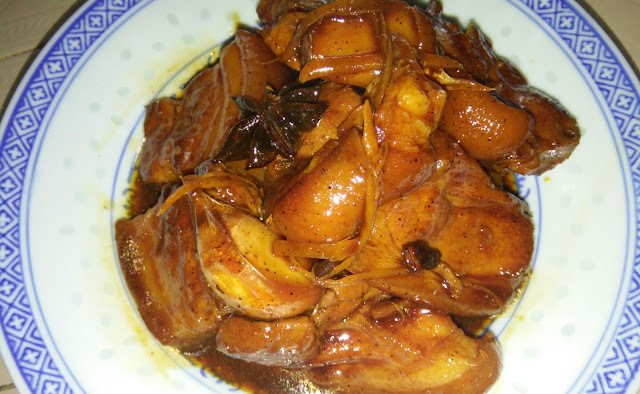 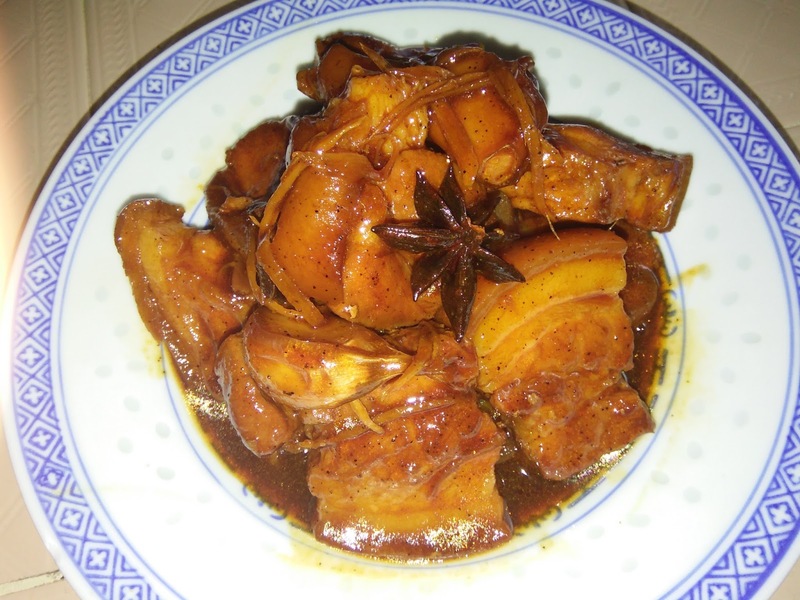 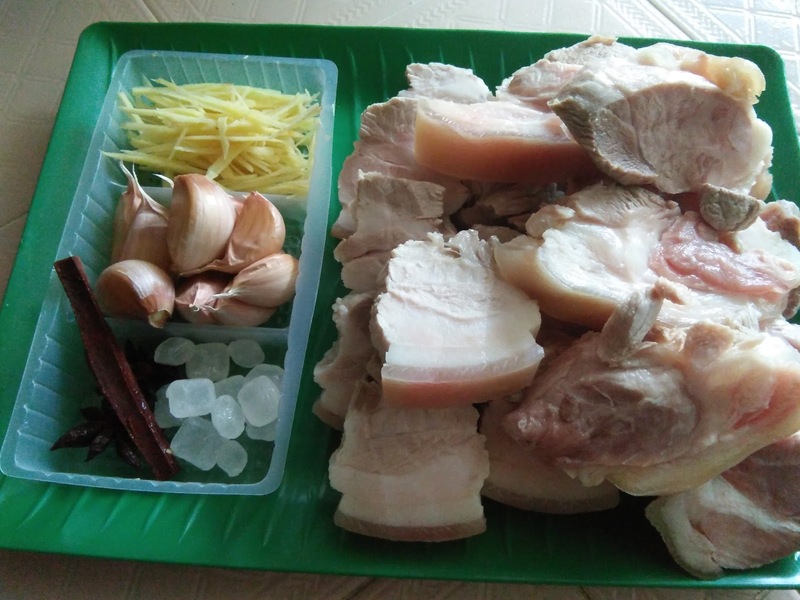 500 gm pork belly and pig trotter [meaty part] – blanched and cut into pieces. 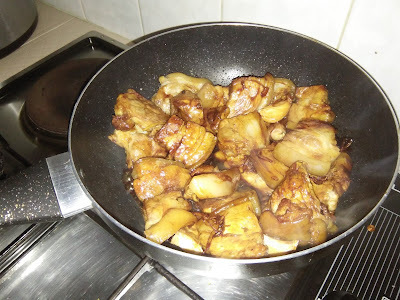 Heat a non stick wok with a tablespoon oil, saute ginger until aromatic, add in meat pieces to fry until slightly brown. Add in spiced condiment ingredients, stir fry to mix well. Add in seasoning sauce and continue to stir fry until meat pieces are well coated with the seasoning sauce before adding water. 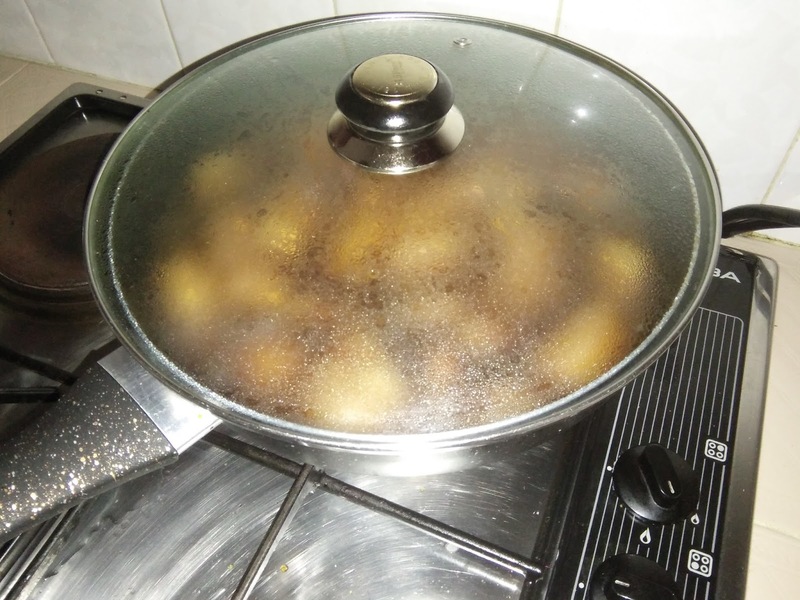 Bring to boil, cover and then simmer until meat is tender and sauce is reduced or thicken with thickening sauce. 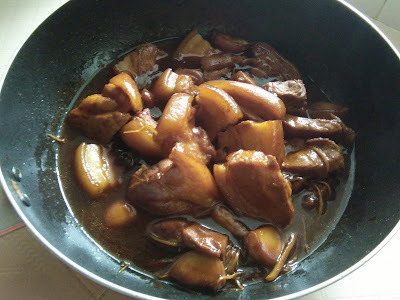 Serve with rice or reheat before serving.